Welcome to the March 2019 edition of the PXI Newsletter. Our intent is to educate and inform you about how the PXI standard is being used in modular test systems for a wide variety of industries. 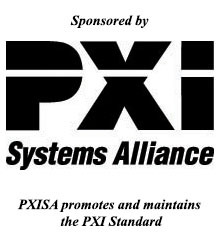 Our thanks go to the PXI Systems Alliance, the sponsor of this month's issue. WHY USE HARDWARE TRIGGERING? PXI’s integrated timing and hardware triggering capabilities offer a number of advantages over more traditional software-initiated measurements. True parallel measurements of multiple devices under test allows you to scale your manufacturing as required and decrease the test time per DUT. Extremely low latency allows you to capture fast events or measure your DUTs very quickly. Very precise timing alignment between PXI/PXIe module allows you to control the trigger events to occur exactly when you need them. This article explains how to make the best use of hardware triggering capability present in many of our PXIe photonics modules and assumes the reader has some familiarity with the PXI platform. Can offer significant speed improvements for most multi-instrument system setups. Sweeping a laser source and measuring the insertion loss over wavelength of the device under test (DUT) would be time consuming it you had to step the wavelength then send a remote control command to a power meter to query the average power. Can enable parallel measurements that would otherwise not be possible. Measuring the optical power from up to 68 VSCELs all at the same instance in time, using just one PXIe mainframe. Can significantly improve test reliability. Hardware triggering means that measurement events are controlled by unambiguous pre- determined conditions. Hardware triggering eliminates communication delays and makes the test system consistent and reliable. Can easily synchronise multiple events. By ANDing or ORing trigger events, measurements can easily be synchronized to ensure all conditions are properly met before a measurement is performed. This new range of high-density, two-pole PXI switching matrices offer higher performance than competing products. Series 40-580 (32x8) and 40-583 (64x4) matrices are supported by both of Pickering’s relay test tools (BIRST and eBIRST), delivering sophisticated and thorough diagnostics for any relays that are approaching end-of-life or have been damaged by over-specification hot-switching events. The GX3800e is a user configurable, FPGA-based, 3U PXI Express card which supports the 400 pin, VITA 57.1 FMC interface standard. The card employs the Altera Cyclone V GX FPGA, which supports xcvr data rates up to 3.125 Gb/s and features over 300,000 logic elements and 12.2 Kb of memory. Users can design their own custom interface module or select from a wide range of commercial off-the-shelf FMC modules which can then be integrated with the GX3800e - creating customized instrumentation for analog or digital test applications. The O2EPXIe is a high bandwidth, broadband OE converter designed for the PXI Platform. Available in a range of configurations; choose from 1 or 2 channels, AC or DC coupling and various conversion gain and operating wavelength ranges. The PXIe800Z is based on Xilinx Zynq UltraScale+ MPSoC FPGA family. Depending on the choice of Zynq UltraScale+ FPGA it can be used for High-Performance Computing (HPC), digital communication or image processing, including AR/VR applications. For design validation and manufacturing applications that require fast, high quality measurements where quality control, product conformance and test optimization are essential. With a small footprint, speed, scalability repeatability, and the flexibility to configure a solution with a shared processor, frame/chassis, display, and interface, PXIe vector signal analyzers provide the building blocks for your single or multi-channel modular test solution.